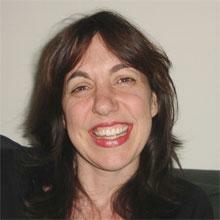 Liza Featherstone is a contributing writer to The Nation magazine. A free-lance journalist and essayist, she has also written for The New York Times, The Washington Post, Newsday, Columbia Journalism Review, Salon, Slate and many other publications. Featherstone is the author of Selling Women Short: The Landmark Battle for Workers’ Rights at Wal-Mart (Basic Books, 2004). Last year, she was a Knight-Bagehot Fellow in Business and Economics Journalism at Columbia University.